(2011-2014) Our Faculty of Computer Science is the fourth best in research Italian computer science department (INF/01). (2004-2010) Our Faculty of Computer Science is the second best in research Italian computer science department (INF/01). The Free University of Bozen-Bolzano is the ninth world’s best small university. The Free University of Bozen-Bolzano is the second best young Italian university. The Faculty of Computer Science of the Free University of Bozen-Bolzano ranks in the 126–150 range in the world. The Faculty of Computer Science of the Free University of Bozen-Bolzano is the 21st best Computer Science department in the world for citations. The Faculty of Computer Science of the Free University of Bozen-Bolzano is the fourth best Italian computer science department. The Faculty of Computer Science of the Free University of Bozen-Bolzano is the best for international outlook Italian computer science department. The Faculty of Computer Science of the Free University of Bozen-Bolzano is the best for citations Italian computer science department. Among the top 10 most cited scientists in the Free University of Bozen-Bolzano, 3 are from the KRDB centre. Among the top 10 most cited scientists in our Faculty of Computer Science, 7 are from the KRDB centre. 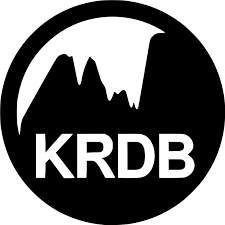 You can see the full calendar of KRDB events. You need to log in to post news.